Welcome Our Indian Friend Venkatesh Come to Our Community! Every state and territory in Australia will experience heatwave conditions on Monday, forecasters say. When will global warming make the earth uninhabitable? Storm Forming New 'Bomb Cyclone' in Western U.S.
Where is and how do we Revere the Greatest Creator? 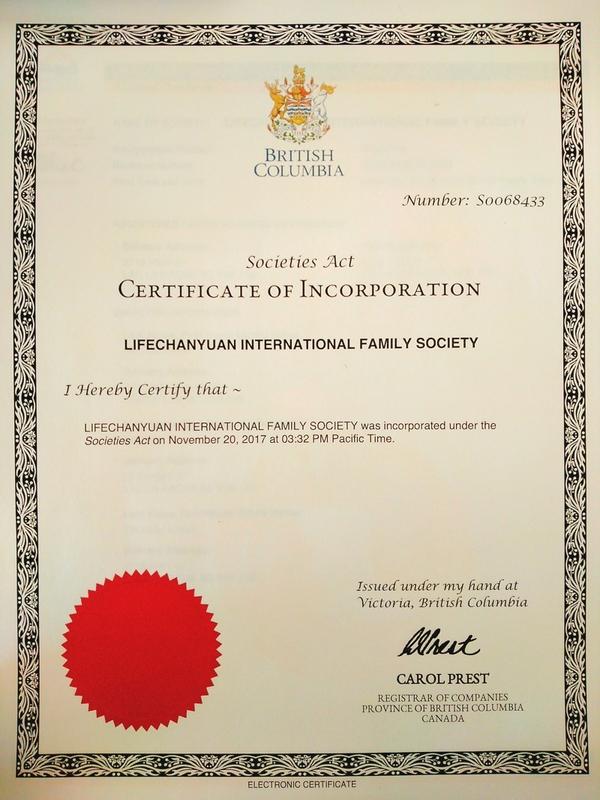 The Lifechanyuan International Family Society was registered successfully in British Columbia, Canada as an incorporated NPO (non-profit organization) on November 20th, 2017. It is located on ten-acres of farmland in Lac La Hache. The property has one wooden house with an established Bed and Breakfast which includes six guest room suites, five bedrooms, four shared toilets, a large dining room, a full kitchen, and a meeting room. The house is facing Lac La Hache lake and Highway 97 passes by it . Water, electricity, gas, and internet are all readily available. This society will absorb people from different cultures, nations, races, countries and beliefs to form an international family. This international family will adopt the same life mode of the Second Home that Lifechanyuan had successfully created in China. The purpose of this international family is to create a new life model and sustainable future for the humanity. The crises that people face are becoming increasingly more serious.The main crisis is that the climate change is growing more and more seriously, which causes more and more climate refugees. If this issue cannot be solved effectively, seven billion people will start fighting with each other for survival. This will also make climate change and environment destruction and social instability becoming increasingly severe and eventually lead to humanity’s enormous sufferings. Our objective of founding Lifechanyuan international family is to find a best way to lead humanity into a track of peaceful development before the catastrophic disasters happen. We will do this by assisting the United Nations, governments of all countries, relevant groups and global organizations. We plan to build the Lifechanyuan international family to a reasonable size of between thirty (30) and three hundred (300) people and will buy more land and build more homes as their need arises.If you are interested in joining us to help create this new life mode and are willing to abide by the third edition of 800 Values for New Era Human Being, you are welcome to contribute financial support or your wisdom to this international family. Let us work toward realizing our most beautiful ideal together. Welcome people with lofty ideals from all over the world to visit, interview and communicate with us. If you need accommodation and food, please call us in advance to appoint the date. New to Chanyuan? Create an account. You are not authorized to reply, please login or register.